Johannes Teppo was born into a musical family in Tallinn, Estonia in 1986. He completed his Masters degree with excellent grades in the class of Hannu Kiiski at the Sibelius Academy in 2013. He has also supplemented his studies at the University of Texas with Prof. Bion Tsang. At the moment Johannes is working as a freelance musician and a teacher at the International School of Music Finland, Meri-Helsinki Music School and Kallio Music School in Helsinki, Finland. In addition, he is occasionally invited to substitute at the Keskisen Uudenmaan Musiikkiopisto and Pohjois-Helsingin musiikkiopisto in Finland. As an orchestra musician Johannes has performed with the Helsinki Philharmonic Orchestra, Tallinn Chamber Orchestra, Tallinn Sinfonietta, Nordic Symphony Orchestra, Lappeenranta City Orchestra, Hyvinkää Orchestra, Hämeenlinna City Orchestra and Joensuu City Orchestra. 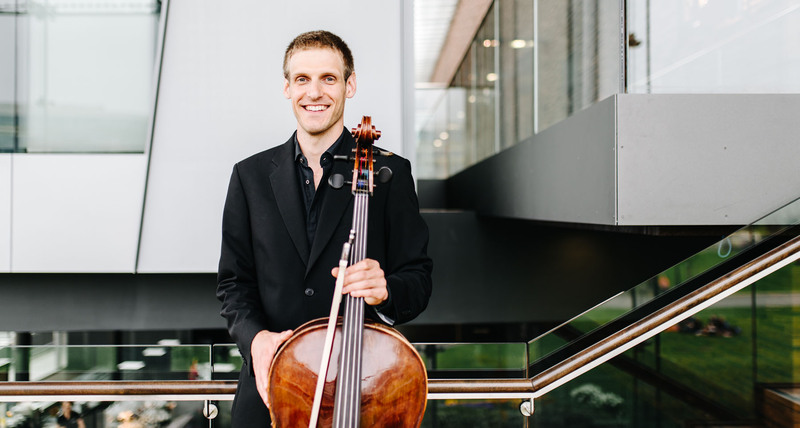 As a soloist and chamber musician, Johannes has performed in Finland, Estonia, Germany, Austria, Switzerland, China, Latvia, Italy, USA and Russia. He has recorded several performances on Estonian Radio and Riga Radio. Johannes has achieved notable success in several competitions, e.g. 2nd prize and special prize at the 4th A. Dombrovski`s International Contest in Riga. Since 2009 he has been a member of the Odysseus String Quartet and the Duo JohAnnas cello duo, and a member of the cello-piano duo Duo Baltica since 2016.